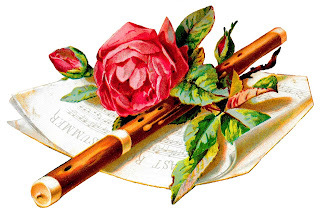 Today I've posted a lovely, digital, romantic music clipart image of a gorgeous pink rose with pages of sheet music and a flute. This digital music image is great for celebrating someone who loves music or who plays the flute. 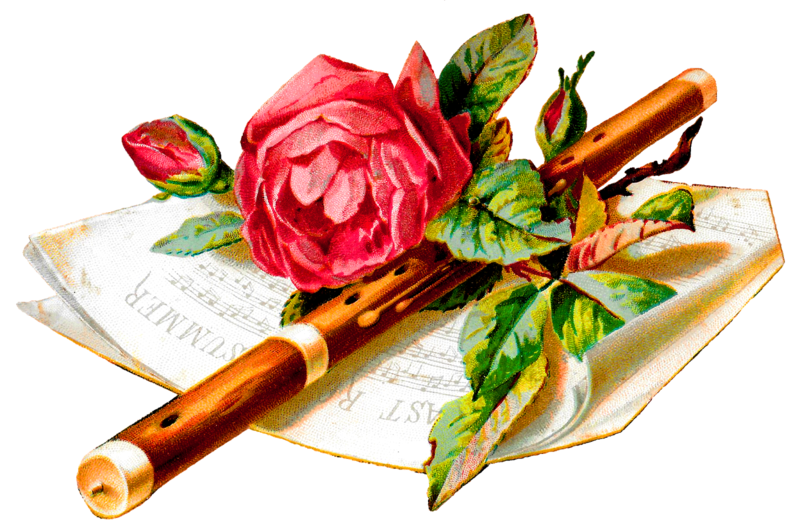 And, I can imagine this pretty flower clipart decorating wedding invitation sets, especially if there is live music or a flutist performing during the romantic wedding ceremony.